Pelican Lake First Nation has long term vision of healthy individuals, families and community. Achieving self-sufficiency and self-reliance through increased employment is an important component of this long-term vision. The First Nation has goals to achieve employment and economic equivalence with the rest of Saskatchewan, into the next millennium. 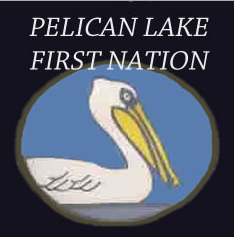 At date of first survey, the Pelican Lake First Nation received 8,630.4 acres for reserve land. Through the Treaty Land Entitlement (TLE) Process, Pelican Lake was awarded and additional 36,714.66 acres in 1979. Further completed, in 1992 by the Office of the Treaty Commissioner, determined that Pelican Lake was legally entitled to a minimum of 36,714 acres under Treaty No. Six. Pelican Lake First Nation voted in favor of ratifying the TLE Agreement in September 1995, which provided the First Nation with a total of 30,753.06 additional equity acres to Reserve status. The TLE Process will allow Pelican Lake First Nation to increase its total Reserve land to 45,345 acres.